With summer just around the corner, S&S comes ever closer to the anticipated release of the reinvented S&S30, Babe II. Back in February, we were excited to tell you about this stunning yacht, originally built in 1935 from the design table of Olin Stephens and rethought for our generation by the same designer just before his death in 2008. 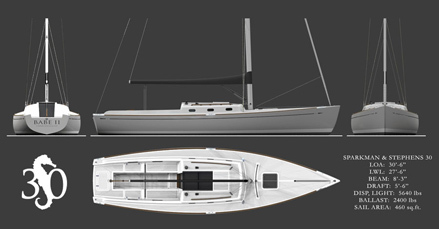 We look forward to Babe II’s launch and the innovative new design which has us rethinking the term, “modern classic”.